Type of Scale | Teras Integrasi Sdn. Bhd. Scale component are heart of truck scale system. Truck scales system require 4 or more units of load cells which depending on length of deck, load cells loading assembly, summation box with card and scale terminal as a complete scale component for truck scale system. They must work together flawlessly to provide accurate weight readings at all time. Most truck scales are built to comply with the Legal-for-Trade requirements of Handbook 44, OIML R76, and/or other Weights & Measures Dept. regulations. 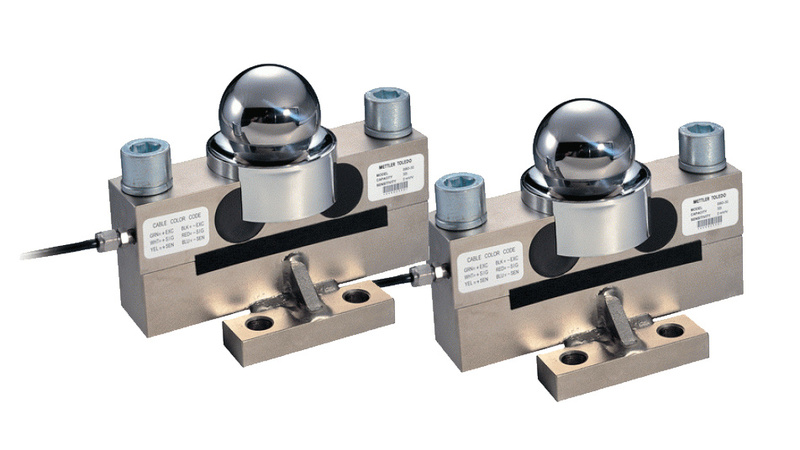 Analogue technology load cells, precision-shaped piece of metal, often steel or stainless steel, that changes its shape slightly as a force (weight) is applied. The change is monitored by electrical strain gauges. The result is an analog voltage signal that varies from the input signal based on the load. The analog signals from all of the cells are summed in one or more junction boxes at the scale. The combined signal is then transmitted to the scale house, where it is measured and converted to a digital signal that indicates the weight. Analog load cells have been used in truck scales since the 1960s. 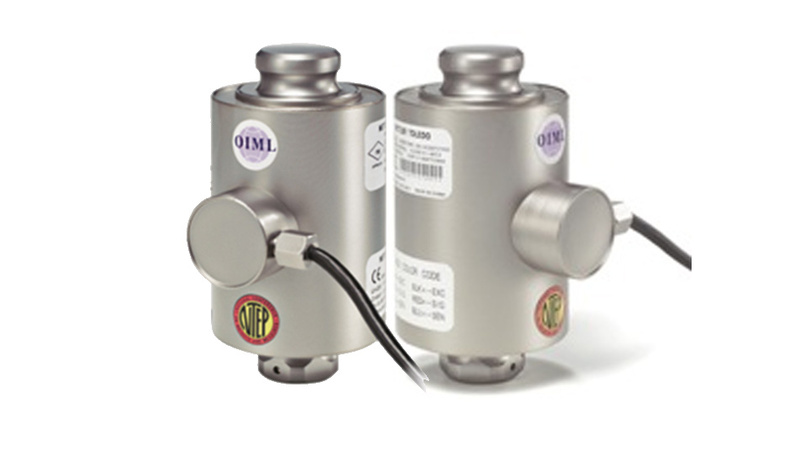 Mettler Toledo continues to offer an analogue technology load cell model with tremendous upgrading for use in niche applications. The weighing terminal is an important part a complete truck-scale solution. Scale terminal or weighing indicator is the control panel for the scale. It displays the weight value to the operator, and often serves as the connection point to computer system or for other peripherals. Our range of terminals provides you with a variety of solutions to perfectly fit your application needs. 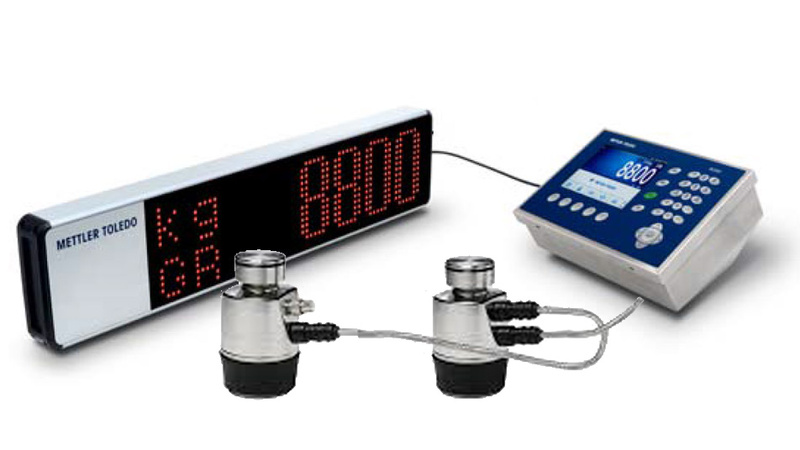 The LED display shows up to six characters, plus designators for weight units of kilograms or kg and gross/net weighing. 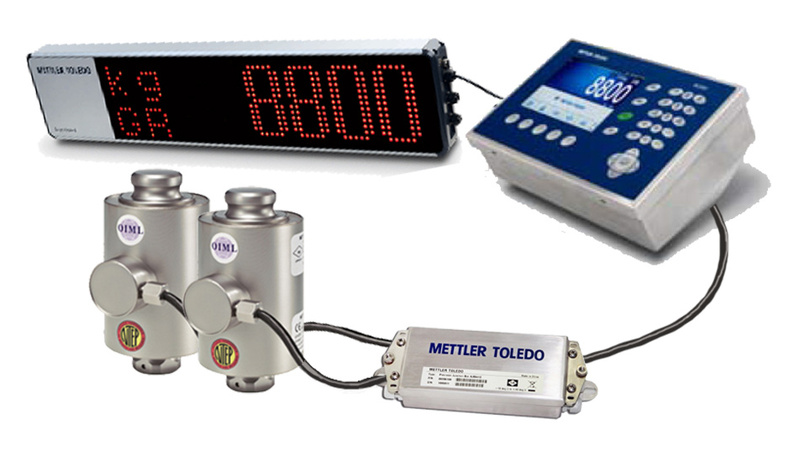 The remote display is compatible with Mettler Toledo indicators that use serial continuous output with interface cable or wireless applications as option. The installation of external remote display is compulsory for “Legal-for-Trade” application truck scale system. 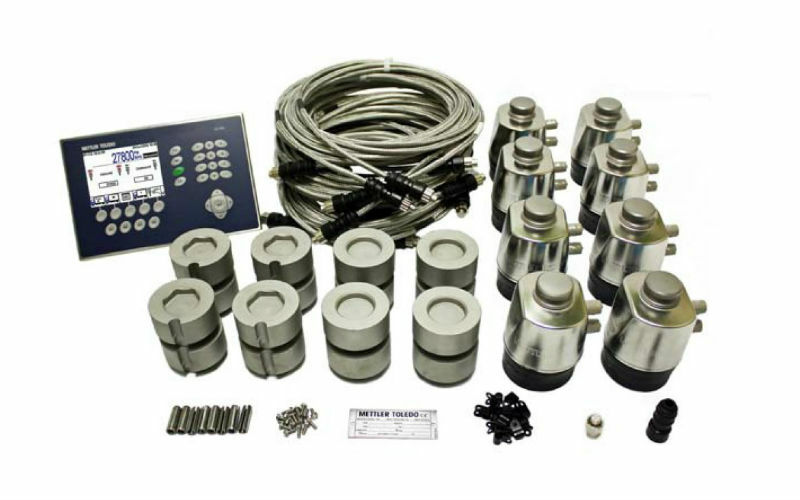 The Powercell digital technology load cells, These load cells utilize digital electronics and are equipped with signal- processing capabilities at each load cell. The load cell can eliminate errors by monitoring and adjusting the weight measurement based on a number of criteria. This process is called digital compensation. POWERCELL load cells have also introduced features, such as predictive diagnostics, self-monitoring, breach detection and remote diagnostics. They are also able to transmit additional information in addition to the weight reading, which allows the system to monitor its own health and performance. Digital compensation, Proprietary compensation algorithms are built into the microprocessors in each load cell. Each cell is individually programmed during manufacturing based on its own individual characteristics. Once the cells are installed, each cell constantly measures variables, such as temperature, loading history and loading time. The built-in algorithms then neutralize the effect of those factors on the weight reading. The results are highly consistent and accurate weight measurements, regardless of extreme or changing environmental conditions. That technology has contributed to the success of POWERCELL load cells in the most extreme environments on Earth, from some of the hottest deserts to the cold of Antarctica. Advanced Diagnostics, PDX Powercell built-in predictive diagnostics system is the most powerful features that constantly monitors the performance of each load cell and automatically corrects for changes in temperature and other environment factors such as radio frequency interference (RFI), electromagnetic interference (EMI), unstable power supply, signal drop and cell off-centre. it constantly alert the truck scale operator to any potential problems during scale operation. 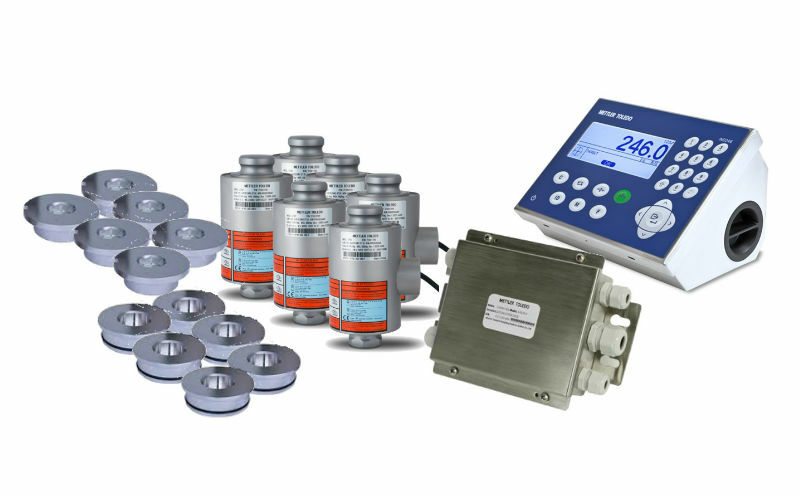 Self-monitoring, These systems constantly measure and log each load cell’s performance based on a set of metrics. That establishes a baseline of standard operation. If a load cell provides information that is inconsistent with its performance metrics, the system notifies the user, allowing a technician to further investigate. Simplified service and remote access, On-board diagnostics allow users and technicians to pinpoint service needs. That makes both routine maintenance and repair procedures much more efficient by eliminating the need to manually test numerous circuits. Some POWERCELL installations are connected to networks that allow them to be accessed securely by a remote technician. In the unlikely event that a load cell needs to be replaced, the procedure is quick and simple. Breach detection, Powercell load cells use a stainless-steel core, shielded by a stainless-steel enclosure that is fully laser welded for a hermetic (airtight) seal. 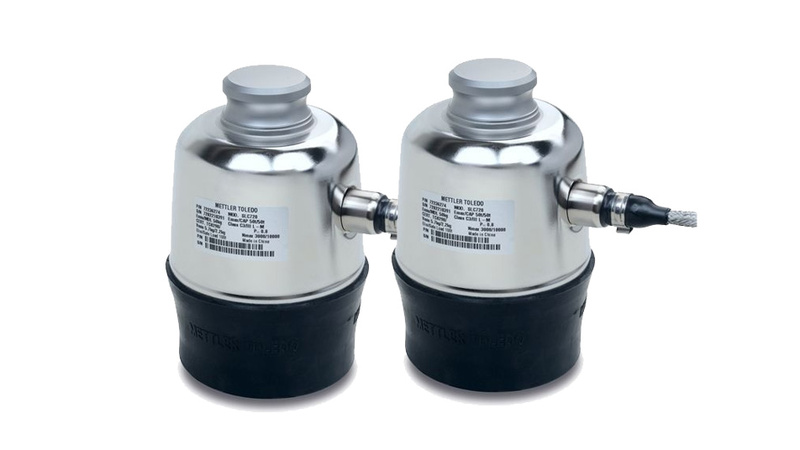 Each load cell is equipped with sensory features that monitor the integrity of the enclosure. Should it be breached, a message is generated at the scale terminal noting the specific cell that is affected. The scale continues to operate normally until the load cell can be replaced at a scheduled time. Ensuring the integrity of the enclosure drastically helps eliminate “hidden” problems that eventually can cause unexpected scale failures. Cables and connections, Powercell load cells use detachable cables with stainless-steel braided sheathing to protect them from physical damage. The cable connects to the load cell with a waterproof glass-to-metal seal (IP68/IP69k rated), but can still be disconnected without the use of any tools. That simplifies service and it means that if either load cell or cable should ever need to be removed or replaced, the procedure is quick and easy. Lightning protection, Powercell systems are equipped with the StrikeShield™ lightning protection system. In the event of a lightning strike, dangerous currents are redirected and the terminal safely reboots itself. Powercell PDX load cell meets the highest standards for protection against lightning (International Electrotechnical Commission IEC 62305-1). No junction boxes, Junction boxes are the known cause of many truck scale problems. Modern Powercell systems utilize the CAN-BUS protocol, which has allowed them to eliminate junction boxes from the load- cell networks. This makes the scale more reliable and simplifies service procedures. All of those advancements aim to make Powercell load cells as accurate and reliable as possible. For scale owners, the goal is that this performance will translate to lower operating costs and better profitability. We mentioned digital compensation in a list of Powercell® features. 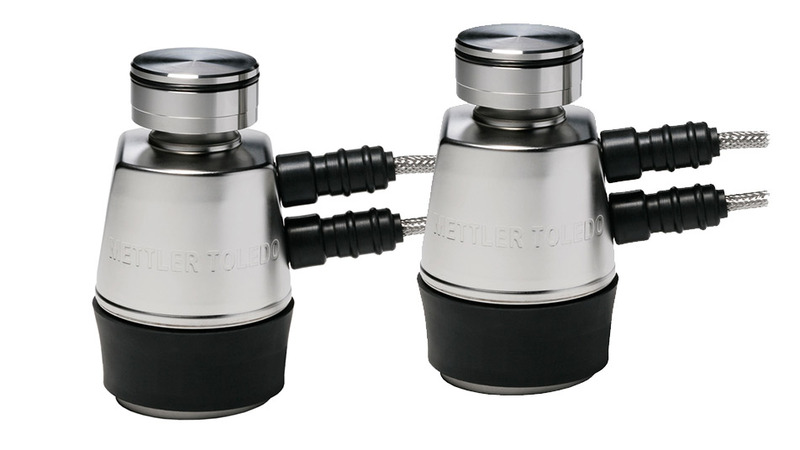 Since being pioneered by Mettler Toledo, other manufacturers have tried to develop similar systems. However, there are notable differences between the systems.